Abdi, H. (1994). Additive-tree representations (with an application to face processing) Lecture Notes in Biomathematics, 84, 43-59.. 1990. Clatworthy, J., Buick, D., Hankins, M., Weinman, J., & Horne, R. (2005). The use and reporting of cluster analysis in health psychology: A review. British Journal of Health Psychology 10: 329-358. Cole, A. J. & Wishart, D. (1970). An improved algorithm for the Jardine-Sibson method of generating overlapping clusters. The Computer Journal 13(2):156-163. Ester, M., Kriegel, H.P., Sander, J., and Xu, X. 1996. A density-based algorithm for discovering clusters in large spatial databases with noise. Proceedings of the 2nd International Conference on Knowledge Discovery and Data Mining, Portland, Oregon, USA: AAAI Press, pp. 226–231. Heyer, L.J., Kruglyak, S. and Yooseph, S., Exploring Expression Data: Identification and Analysis of Coexpressed Genes, Genome Research 9:1106-1115. Huang, Z. (1998). Extensions to the K-means Algorithm for Clustering Large Datasets with ategorical Values. Data Mining and Knowledge Discovery, 2, p. 283-304. Jardine, N. & Sibson, R. (1968). 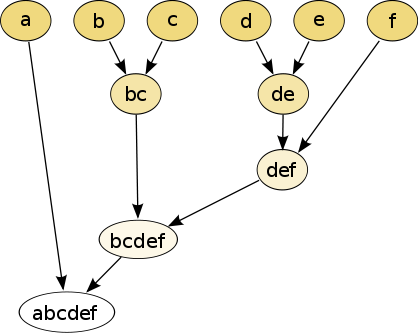 The construction of hierarchic and non-hierarchic classifications. The Computer Journal 11:177. The on-line textbook: Information Theory, Inference, and Learning Algorithms, by David J.C. MacKay includes chapters on k-means clustering, soft k-means clustering, and derivations including the E-M algorithm and the variational view of the E-M algorithm. Ng, R.T. and Han, J. 1994. Efficient and effective clustering methods for spatial data mining. Proceedings of the 20th VLDB Conference, Santiago, Chile, pp. 144–155. Prinzie A., D. Van den Poel (2006), Incorporating sequential information into traditional classification models by using an element/position-sensitive SAM. Decision Support Systems 42 (2): 508-526. Romesburg, H. Clarles, Cluster Analysis for Researchers, 2004, 340 pp. ISBN 1-4116-0617-5 or publisher[永久失效連結], reprint of 1990 edition published by Krieger Pub. Co... A Japanese language translation is available from Uchida Rokakuho Publishing Co., Ltd., Tokyo, Japan. Zhang, T., Ramakrishnan, R., and Livny, M. 1996. BIRCH: An efficient data clustering method for very large databases. Proceedings of ACM SIGMOD Conference, Montreal, Canada, pp. 103–114. Can, F., Ozkarahan, E. A. (1990) "Concepts and effectiveness of the cover coefficient-based clustering methodology for text databases." ACM Transactions on Database Systems. 15 (4) 483-517. Aldenderfer, M.S., Blashfield, R.K, Cluster Analysis, (1984), Newbury Park (CA): Sage. P. Berkhin, Survey of Clustering Data Mining Techniques, Accrue Software, 2002. Jain, Murty and Flynn: Data Clustering: A Review, ACM Comp. Surv., 1999.
for another presentation of hierarchical, k-means and fuzzy c-means see this introduction to clustering. Also has an explanation on mixture of Gaussians. David Dowe, Mixture Modelling page - other clustering and mixture model links. 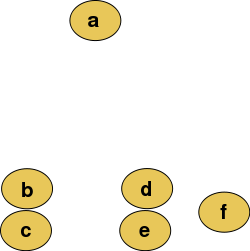 LingPipe Clustering Tutorial Tutorial for doing complete- and single-link clustering using LingPipe, a Java text data mining package distributed with source. Weka : Weka contains tools for data pre-processing, classification, regression, clustering, association rules, and visualization. It is also well-suited for developing new machine learning schemes. Tanagra : a free data mining software including several clustering algorithms such as K-MEANS, SOM, Clustering Tree, HAC and more. Cluster : Open source clustering software. The routines are available in the form of a C clustering library, an extension module to Python, a module to Perl.